The fact that it is Christmas Eve is mind boggling! 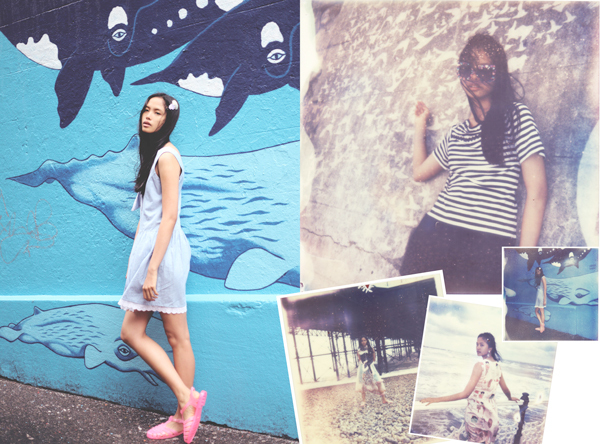 The year is almost over and flew bye! I vividly remember last Christmas Eve and Christmas and there is no way that was a year ago! We tend to do about the same thing every Christmas Eve and there are no complaints from me about it! We are always at the Farm, my grandparents house, for Christmas break! Regular day of fun up until the afternoon! Oftentimes I go over to my aunts house and help her cook since we all go to her house for Christmas Eve dinner! We will probably go over to their house around 5:30 all dressed up for a festive Christmas Eve. We eat and are merry and celebrate together! We play ping pong, eat some more, and usually exchange a joke gift or too! Then we head back to the farm and here comes my favorite part! I change into my pajamas and put baby jesus in the manger! Then I organize all of the Christmas presents, each person gets a pile and then I go around and set up the presents so they appear appealing! And of course I love the way my presents turned out with their monogrammed gift tags (DIY)! What is your families Christmas Eve Tradition? 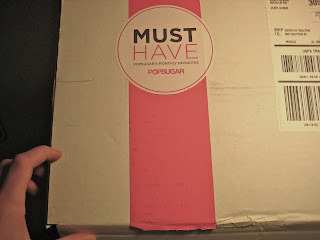 I am so excited to share with y'all what I received in my December Pop Sugar box! I got it a little over a week ago and didn't want to spoil the contents for anyone who had yet to receive theirs. I am very glad I subscribed and can not wait to see what other goodies will arrive in the months to come! I have a post all about the pop sugar must have box here but basically it is a monthly subscription service that costs $35 a month and its contents will have a value of over $100. 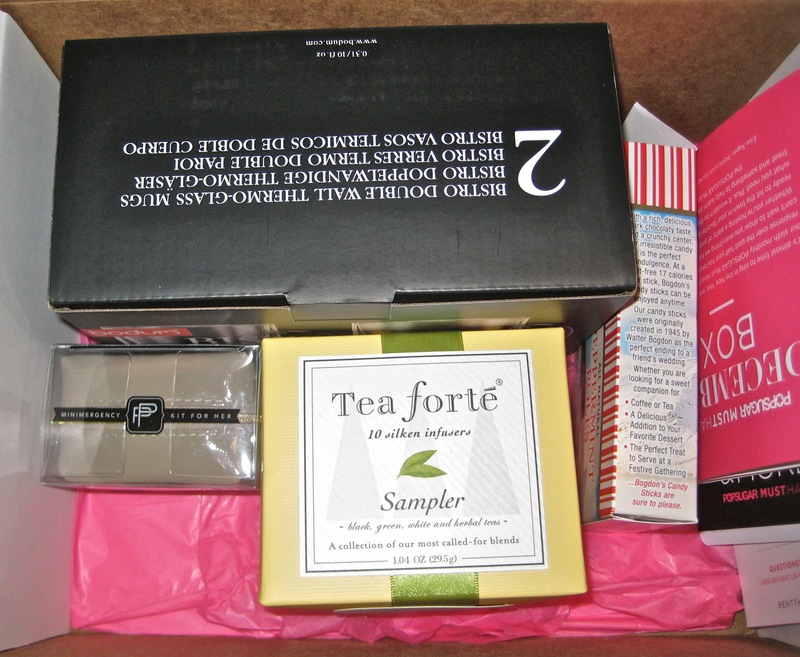 Unlike some monthly subscription boxes, this box is a lifestyle box containing products for various aspects of your life! 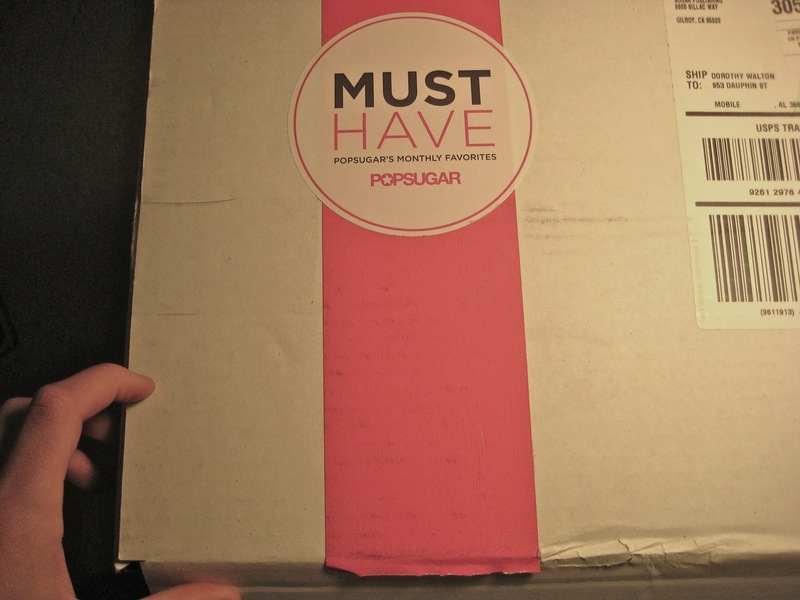 So without further adieu here are the contents of the December Popsugar Must Have box! This is what the package looks like coming straight out of the mail box! Here is what I saw when I opened up the pretty pink tissue paper! And at this point I had already taken out the fancy bar of soap they included and put it in my shower so it is not included in pictures. 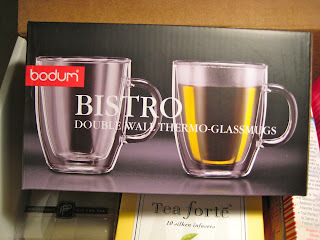 The first thing I saw were these super cool double wall thermo-glass mugs! How cute would these look with a vinyl monogram decal, yes please! I drink lots of coffee and hot chocolate so these were right up my ally! I immediately went and put these with the stack of other items that will head with me to college next year! After I took the mugs out this was my view! Lots of goodies to explore and try! 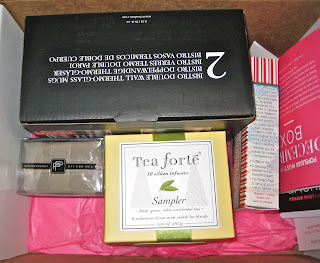 This tea sampler from tea forte made the whole box smell wonderful! I am not a huge tea drinker but I have an aunt who is and this is wrapped under the tree with her name on it! Y'all are lucky I got a picture of these bad boys. Holy cow, they are so yummy. I have had these before but it has been a while and they were just as goof as I remembered. Dark chocolate covered peppermint sticks are hard to beat! These are also super cute to be used as hot chocolate stirrers, do you spy a theme because I sure do! Go Swype included an electronic screen cleaner. And we also received a coupon code for Rent the Runway. While I have never tried Rent The Runway, I think it is an awesome idea and was not complaining about the $35 voucher! This last thing was my favorite thing in the box! This is a minimergency kit for her and contains anything and everything you could ever need from your purse! It comes in a precious little bag (mine was taupe, some people had purple) with a wish bone zipper. Anything and everything from nail polish, hair spray, earring backs, advil, deodorant, and lip balm, it is a well stocked little pouch! Are you convinced enough to try? If you do decide to try it out use the code REFER5 to get $5 off! If I wasn't already subscribed I would have given this to myself as a christmas present that keeps giving! You can also sign up to give these as gifts, if you don't know what to get someone and don't want to give them a gift card then sign them up for PopSugar! PS. It looks like if you sign up now you are eligible to receive the January box. WHEW-- what a week! 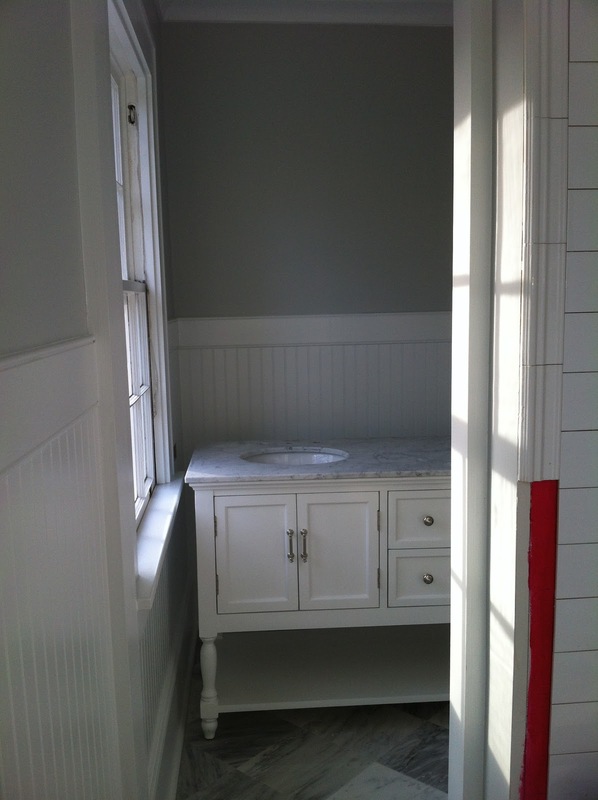 Here are some updated pictures of the progress on our bathroom renovation. 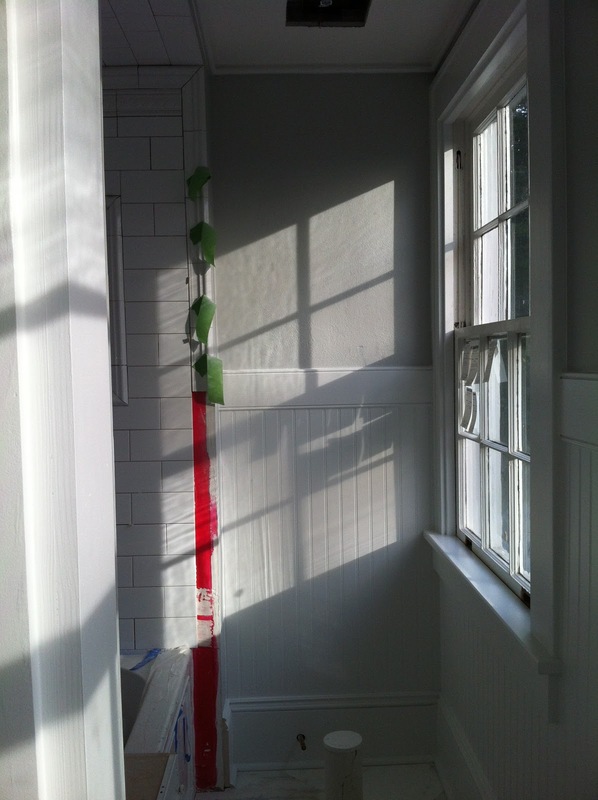 A lot has been happening, and as you can see, you're beginning to get a better picture of what the finished bathroom will look like. 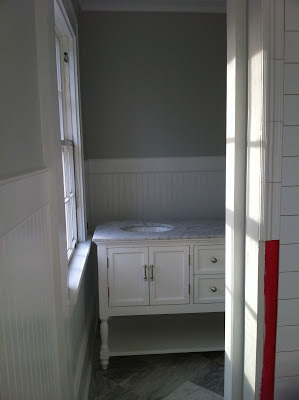 The initial coats of paint are up, and the vanity has been moved into place. Right now, we are waiting for the mirrors and new faucets that I ordered to arrive, so we can complete the plumbing and then install the light fixtures. I found these mirrors at Pottery Barn for $249 each.... you would NOT believe how hard it was to find polished nickel mirrors. The faucets that came with our vanity ended up looking cheap and were chrome, so we had to find replacement ones. 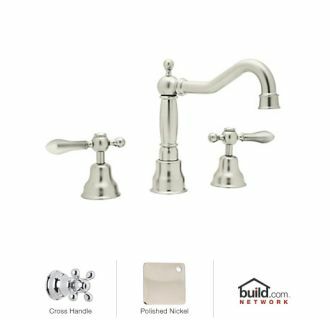 I ended up choosing the same style and brand as the one I selected for our kitchen, in polished nickel. 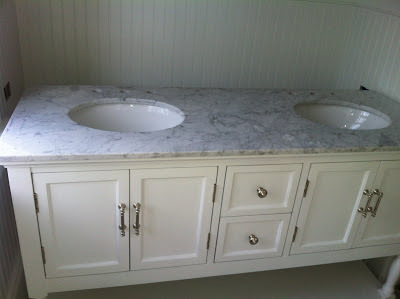 They're made by ROHL, and were $440 each. 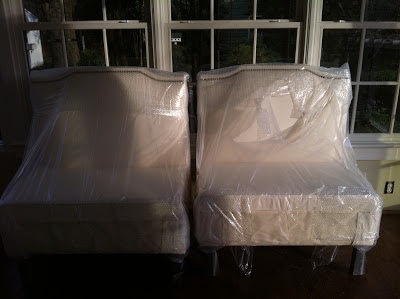 We ordered ours from Hughes supply in the Charlotte/Matthews area. We are also adding custom cabinetry doors to the bottom of our alcove niche, which will match the woodwork on our vanity. I just realized that we didn't have enough storage, and adding some doors to the niche will really give us more room to store the bathroom stuff that isn't suitable for display! 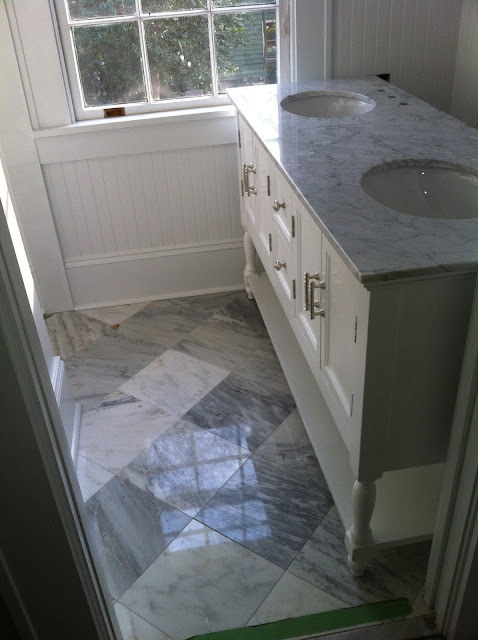 We had some issues with the tile installation, which is why the shower area is left out of the pictures. Our contractor Matt is on top of getting the tile fixed and re-installed, and i'll post more pics of that when it's finished. For now, i'll leave you with a picture of our custom dining benches from Ballard Designs that just arrived yesterday! Happy Holidays to everyone! Today is the day of my third annual cookie party and I am super excited to continue this tradition! I love that it will be an excuse to bring all of my friends back together once we head our separate ways during college. It does however, require lots of prep work! Lots of cooking and baking involved! We decided to decorate in our dining room and there are sprinkles galore! We have a large round table in there that should comfortably fit the 15 girls that will be celebrating the holiday season with me! In 2010 we forgot to get a group picture, oops! Each year at the end of Thanksgiving break my grandmother asks me for my christmas list. I always put one together with links of where to buy things and I email it! I love seeing what other people are asking for so I decided to share my wish list. As a little side note, I always feel like a brat when making my list. Probably because my two biggest holidays of the year are back to back (literally)! I hope y'all understand that these are just ideas as to what I want for Christmas and my Birthday (December 26th, I'll be 18). If you are interested in seeing directly where to buy these items click on the image below and they come up beside the polyvore image. 1) iPad: This is the number one item on my wish list and I think it would be great for school and blogging. I got a macbook last christmas and I absolutely love it but I am always afraid it is going to break when I carry it to school. I think having an iPad to take notes on at school would ensure that my laptop stays in one piece and could potentially make it last longer! 2) Wireless Keyboard: taking notes on this full size keyboard seems a lot easier than taking notes on the iPads screen. A great thing about this keyboard aside from the cute colors it comes in is that it can be folded and rolled up to fit just about anywhere! 3) Monogrammed iPad Sleeve: It needs to stay protected somehow so why not have it looking cute while doing so! If I do end up getting an iPad I would also order a stand so that taking notes would be easily in view but at this point protection is my major concern. 4) Shift Dress Cookie Cutter: I love making cookies and do so pretty often and I would love to find this lilly-esque cookie cutter under the tree! I own some other preppy cutters and think this would be another staple to add to my collection! 5) Navy Large Longchamp Le Pliage: I own 3 other Longchamps and absolutely love them and believe that this would be no different! I hope to get a larger size to fit more things in so that it can also be used as a travel bag! 6) David Yurman: I own the pearl ended bracelet and have worn it daily for the past two years and hope to add another to my collection for either christmas, birthday, or graduation this spring! 7) Travel Jewelry Case: I have a jewelry case at the moment that is similar to this but does not have dividers. I love it however all of my jewelry ends up getting tangled. I think this would be perfect to separate my jewels and would look even better with a david yurman bracelet inside! 8) Money: I am hoping to receive some money to purchase riding boots for myself. I have yet to fully decide which riding boots I want so money was the best way to ask for riding boots! 9) Pajamas: I have had my eye on these Target PJs since they first came out and I am hoping that they have found their way under my christmas tree! (These were sold out online and in stores and have just been restocked, wahoo). As the holiday season is quickly occurring I can't help but love all of the tartan I have been seeing! Tartan really reminds me of Christmas and I've picked out some fun items that add just the right dash of tartan to your life! 1) Bow: Adding a tartan accessory to your hair is such an easy and fun way to add something festive to your outfit! I have one of these bows and know first hand that the service and quality is amazing and so are the compliments you will receive while wearing it! 2) Ornament: Spruce up your tree with this precious tartan pup! 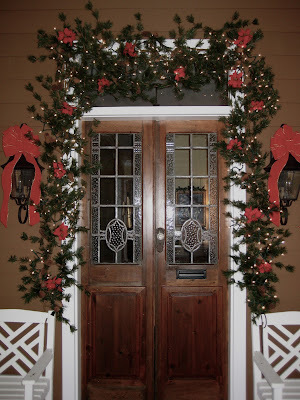 3) Bow: Yes, I do love my bows and the amount of red in this one screams christmas to me! 4) Headband: I love wearing headbands, especially in the winter so this headband is right up my ally. I think headbands are a great way to pull an outfit together and add some color! 5) Bracelet: I have a navy and pink version of this bracelet and love it! The winter colors make it the perfect accessory to throw on whether you are attending a holiday party or just shopping for gifts! 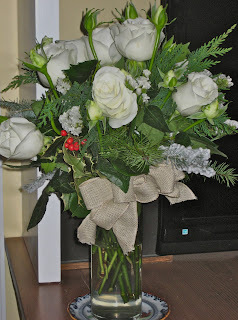 I love how nautical these look and how girly the bow makes them! 6) Phone Case: Wouldn't it be fun to answer your phone while it looks festive? I think so and I think this iPhone case is just the thing you need to dress up your tech! 7) Scarf: I am still in awe that this beauty is from target. When I can't decide what to wear I often times throw on a white t-shirt and a scarf and I feel that although it is simple, it would be the perfect holiday gathering ensemble! 8) Key Fob: I would love to pull my keys out of my purse and be reminded of the festivities occurring in this chilly month! These would also make precious stocking stuffers! 9) Skirt: I have been loving this J Crew skirt for a while and would love to wear it all season long! The green background of this tartan makes it unique and festive for any holiday gathering! Are y'all loving tartan as much as me? Don't forget to check out my giveaway in the previous post! Sunday was Christmas baking day. I love baking (especially in my new kitchen) but it exhausts me. This year, we not only had co-workers but neighbors as well. I did the usual White Trash (two huge batches to be exact) but I also added a hint of chocolate sweetness for our new neighbors. In a large bowl, beat shortening and butter with an electric mixer on medium speed for 30 seconds. In a separate bowl, whisk flour and cocoa powder. Beat as much of the flour mixture into the butter mixture as you can with the mixture; stir by hand any remaining mixture. Shape into 1 inch balls and place on un-greased cookie sheet; press thumb into the center of each ball to make an indent. Immediately use the rounded side of a 1 tsp. measure to press down the center of each cookie. Transfer cookies to wire racks. Spoon Raspberry Ganache into center of each cookie. In a microwave safe bowl, combine dark chocolate, whipping cream and jam. My Rooms Holiday Decorations, Colorful Ornaments, and a Giveaway! 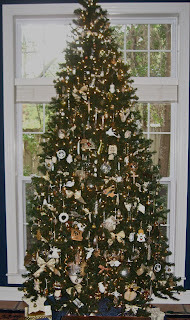 I am so excited to share with y'all how I've decorated my room for the holidays as well as a giveaway all in one post! As I walk upstairs to my room I am greeted by holiday decorations from the start! I have has this wreath on my door during the holiday season for as long as I can remember! 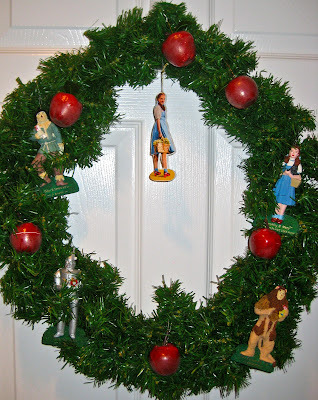 It is pretty clever with all of the Wizard of Oz characters and I can't imagine the Christmas season without it! 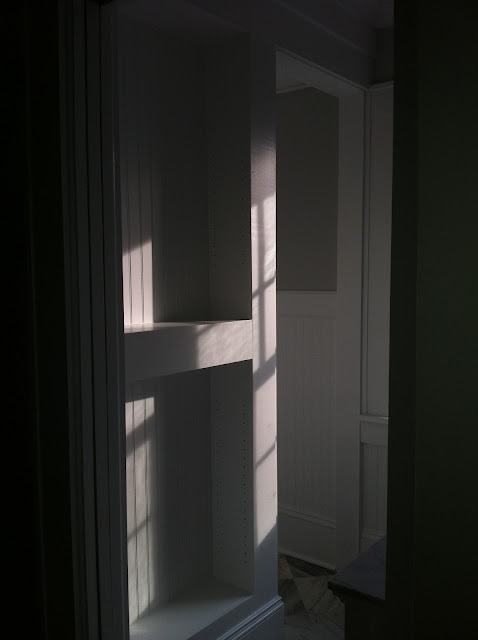 As I walk through my door and enter my room I have a strand of white lights draped along my shutters! I love the way these look when my other lights are off and the only thing missing are some stockings! Now for my favorite part, my colorful christmas tree! Not only did I want to share with you how it turned out but I also wanted to share with you some fun colorful ornaments I found on etsy! Sadly I took this photo a while back before there were wrapped presents under it! 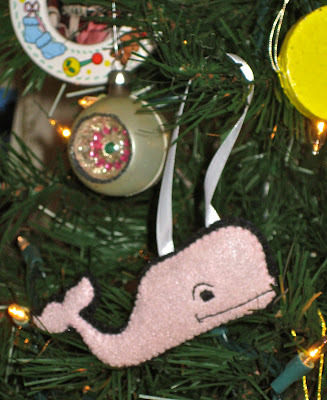 How cute is this whale ornament from ReLoveProjects. Not only is it bright and fun, but it is also made to of recycled material! I can't help but want to keep this ornament out all year long! Anne, the owner, also sells the CUTEST octopus ornaments as well! The best part about the ornament is that it is completely one of a kind! Felt ornaments add such a unique look to any tree and this ornament from I am Craftish is no different! The traditional christmas ball style mixed with modern colors and designs allows this ornament to fit right in among my mix of old and new ornaments! The colors in this ornament really seem to tie my tree together and it definitely draws the eyes in! The owl ornaments in this etsy shop also add fun colors and a unique shape to any tree! The detail within this one ornament is hard to believe! The background of this owls skin is a watercolored design that seems unique to lots of BittyBits&Baubles ornaments. 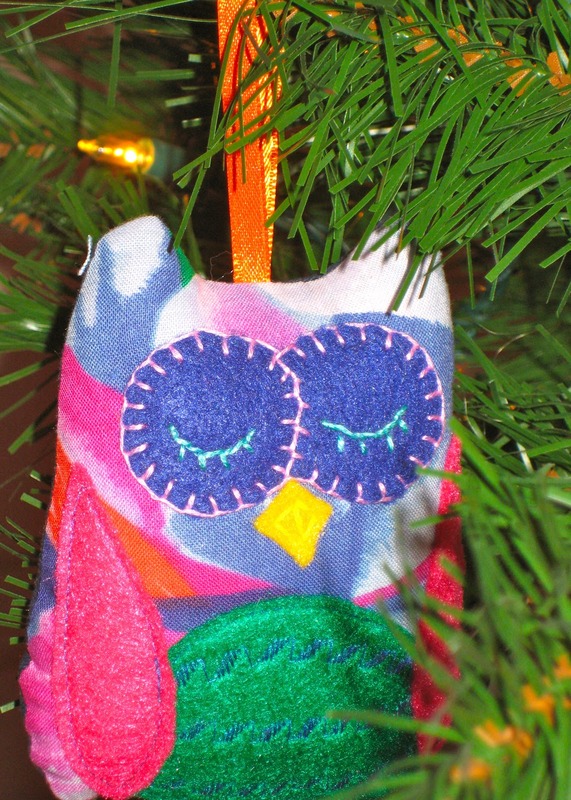 I can't help but smile when I spot this ornament getting some shut eye while hanging on my tree! This Vineyard Vines inspired felt whale is a necessity for any preppy christmas tree! 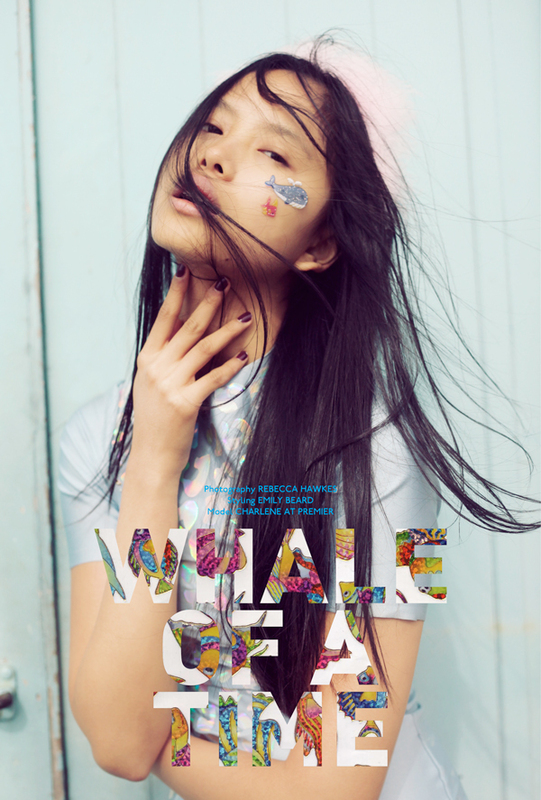 I squealed when I saw how closely it resembled the actual Vineyard Vines whale! 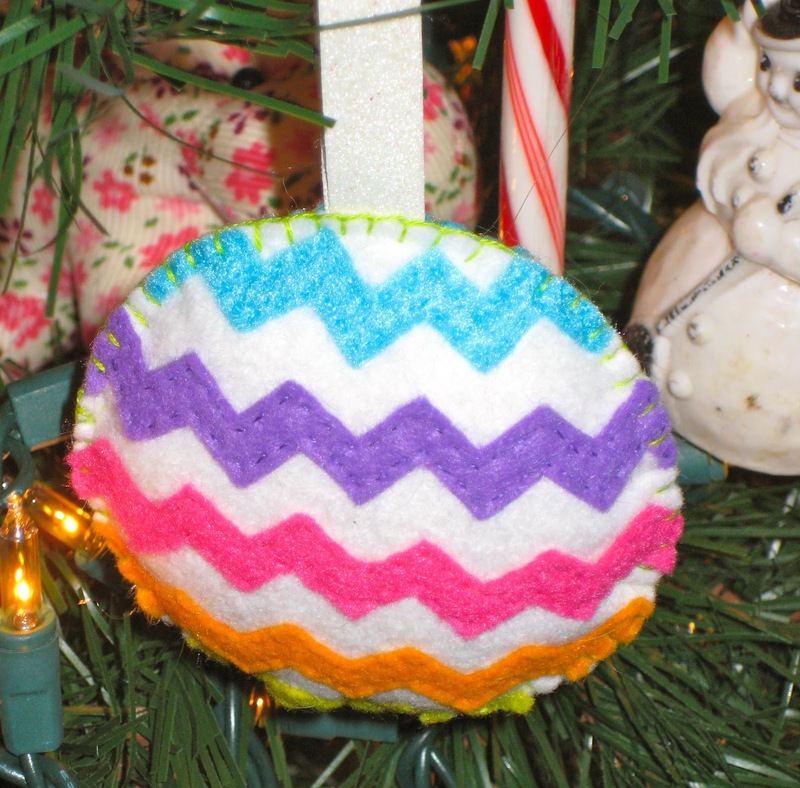 This cute ornament was found on LexiFeltique where I also spotted a precious pinterest logo ornament, how fun! Fortunately for y'all this ornament came with a buddy who is itching to find its home on one of your trees! All you have to do to enter to win this ornament is comment below and I will email the winner next week! I hope y'all enjoyed this peak into my room! Christmas time is my favorite time of the year! One of my favorite parts is putting up and admiring decorations! 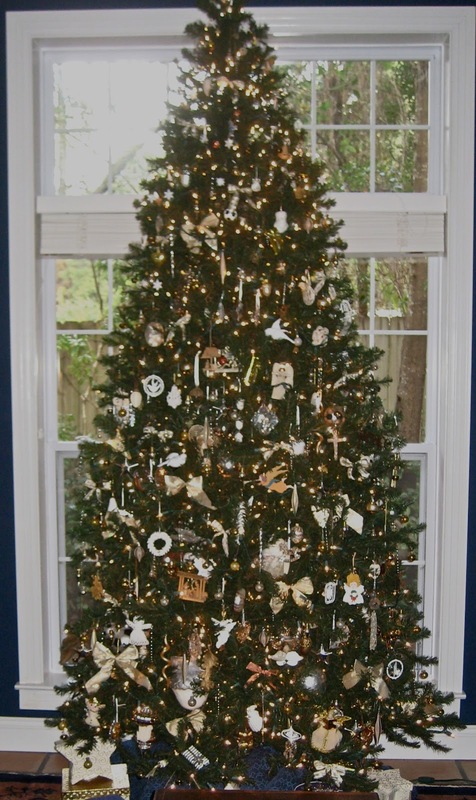 Today, I decided I would share with you the decorations at my house and tomorrow I will show y'all my rooms decorations! Here are our outside decorations. 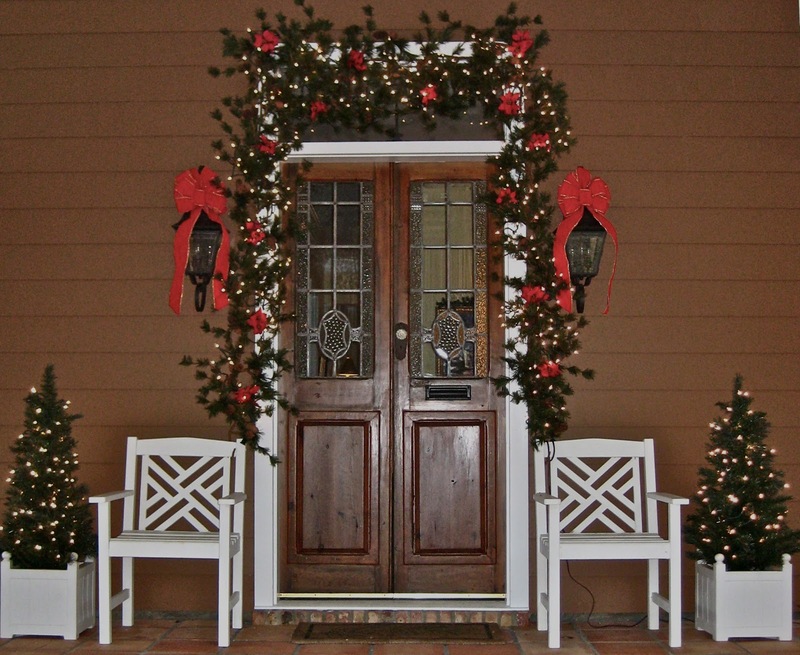 We put our garland above our front door and place two christmas trees in planters on either side! We have a very natural looking garland equipped with pinecones and poinsettias. 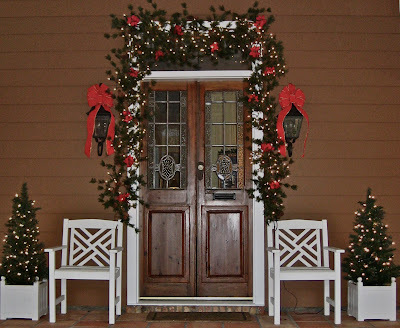 We also put large red bows on either lantern to add some more red to our front porch. Next we have our living room. This year we didn't do our typical wrap the garland up our staircase and hang the stockings accordingly and sadly our stockings were left completely out of the decorations. That is okay though because our stocking at my grandparents house are hung and ready! 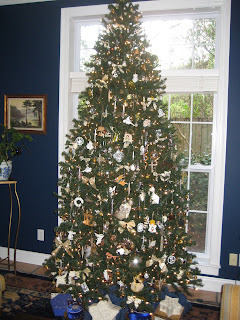 Above our fireplace we have a garland and blue and white decorations dispersed among the branches. We also have this gorgeous winter flower arrangement in the living room! On our dinning room table we have a tree with silver ornaments and some fun holiday decorations around its base. 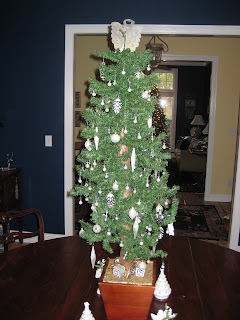 And last but not least we have our Christmas tree! This is in our "formal" living room and is decorated with white, gold, and silver decorations. Around the base we have some fun boxes that look like presents so it doesn't look so bare underneath! We usually don't see our real wrapped presents until we are loading them in the car to head to my grandparents house. Tomorrow you will see loads of colorful decorations and lots of colorful ornaments when you get an inside peek at my rooms holiday decorations! As much as I tried to get my Christmas shopping done early, life got in the way. So that meant we had to brave the malls with all the crazies other slackers. Low point - I found lots of cute stuff I want to buy myself. This little gift guide got left out when I posted my other gift guides so here it is now! This gift guide is perfect for those hostess gifts you may need for holiday parties you may be attending! 1. Cupcake Kit: Lets face it, girls love cupcakes! I would be so happy to receive any cute cupcake liners as a little hostess happy and I am sure your friends would as well. 2. Home or Recipe Book: Perfectly pretty on a bookshelf or coffee table but also extremely useful and entertaining for those entertaining you. 3. Hedgehog Measuring Cups: How fun are these? Love the unique styles that measuring cups are coming in nowadays. 4. Ceramic Fruit Containers: So much cuter than the plastic containers they come in at the grocery store! Wouldn't it be fun to see some of these lined up in your fridge! 5. Cocktail Napkins: Whether they be cloth or paper, napkins are the perfect gift to bring along to any party! 6. Pitcher: I loved this owl pitcher too much to leave it off of this list! While a pitcher may seem like an odd thing to bring, I think this one could double as an adorable vase! If you wish your angel array of joy, or the angel array of joy that belongs to a about or acquaintance to attending cool chichi and fashionable, again you'll charge to dress him or her in artist babyish clothes. The alone catechism is, area do you buy them at? The actuality of the amount is, you will not acquisition annihilation that would resemble artist children's clothes in your bounded Walmart, Target or even Kohl's or Boscov's. So if you would like your candied angel or comfortable prince authoritative the circuit in their adventurer while dressed to the nines, you'll charge to apperceive absolutely area to shop. First, ambit out the top end babyish boutiques. You apparently haven't heard of them because you accept never actively looked for them, but assurance me, they're there! Start big with food like Saks Fifth Avenue, Nordstrom and Neiman-Marcus. If these names accomplish your wallet blench in terror, good. That agency you're accepting abutting to artist babyish clothes! Smaller, ancestors or alone endemic babyish boutiques can generally be begin in a lot of cities and towns, in the ritzier and touristy sections. 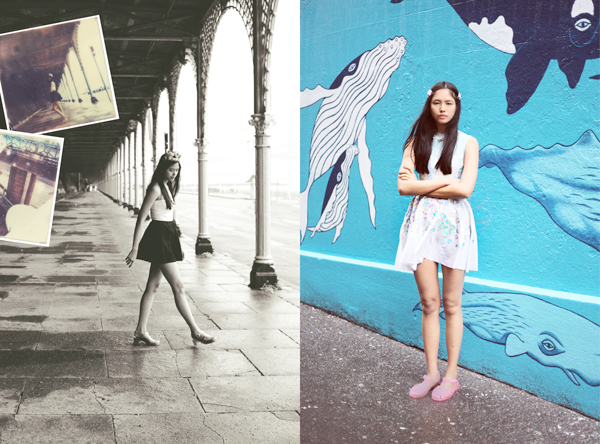 Next, accede searching for artist babyish clothes online. Many children's clothes boutiques accept taken their articles online, because it's easier to advertise their articles and ability out to absorbed consumers in cyberspace, area anyone from anyone can view, so continued as they accept an internet affiliation to their computer, and a browser installed on it. Many parenting magazines, including Parenting, Parents and Child will generally advertise the latest and trendiest artist babyish clothes and artist children's apparel on their covers and throughout their magazines. Check the accomplished book at the basal of these pages and in the aback area for area to boutique for the clothes that are featured. You'll acquisition some added down to earth, accustomed fashions including Old Navy, Target and Babyish Gap brindled throughout, but in accepted you'll hit the jackpot and acquisition a abundant account of merchants that backpack artist babyish clothes. Finally, accumulate tabs on celebs and their little dumplings. You can calmly accumulate up with the trends celebrities set by account abridged magazines and blockage out abridged websites like thesuperficial.com. Celebs are usually the aboriginal in band for the newest and best in childrens clothes, so if you chase their advance and boutique area they shop, you'll accept affluence of artist babyish clothes for your little one! Hopefully this commodity has helped adviser you in the appropriate administration for fashionable artist accouterment for babies and children.